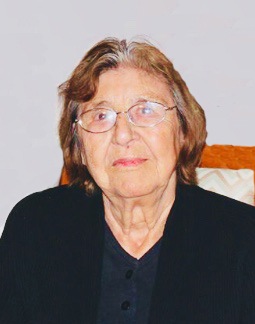 Obituary for Louise Rose Marie Cardinal | Mission View Funeral Chapel Ltd.
On Saturday, June 30, 2018 Louise Rose Marie Cardinal of Kikino, AB passed away at the age of 83 years. Louise is survived by her children Sandra (Wayne) Cardinal, Gerald (Lana) Cardinal, Harold (Jean) Cardinal, Sandra (Wayne), Darlene Brenneis, Barry Cardinal, Colleen (Cliff), Bonnie Crawford, Layne Cardinal (Matthew), Belva Cardinal, Jocelyn Cardinal (Rob), adopted son Gordon (Debra) Whitford, grandchildren Shannon, Krystyn Justin, Angela, Travis, Jessica, Parker, Caleb, Adam, Derek, Shandell, Clayton, Colton, Venitta, 31 great grandchildren, 2 great-great grandchildren, sister in law Jenny Cardinal, uncle Raymond Bellerose, fur babies Survey and Ricco, as well as numerous relatives, nieces, nephews, cousins and friends. Louise is predeceased by father Joe Donald, mother Alice Donald, husband Harrison William Cardinal, grandson Brent Cardinal, grandson Andrew (AJ) Crawford, mother in law Agathe Cardinal, father in law Henry Cardinal, and son in law Andrew Crawford. A Wake was held on Wednesday, July 4, 2018 at 10:30 a.m. at the Kikino Community Centre in Kikino, AB. A Funeral Service was held on Thursday, July 5, 2018 at 1:00 p.m. at the Kikino Community Centre in Kikino, AB with Rev. Robert Wright officiating. Interment followed in the Kikino Community Cemetery, Kikino, AB. Honourary Pallbearers were all of her great and great great grandchildren. Pallbearers were Adam Cardinal, Caleb Cardinal, Colton Cardinal, Derek Cardinal, Justin Cardinal, Parker Cardinal, Travis Cardinal, Clayton Crawford. Donations to the Kidney Foundation of Alberta would be appreciated.